> Manga, Anime y Videojuegos> Vocaloid>NENDOROID MIKU HATSUNE: APPEND Ver. Miku s mysterious Append ver. is also joining the Nendoroid world! 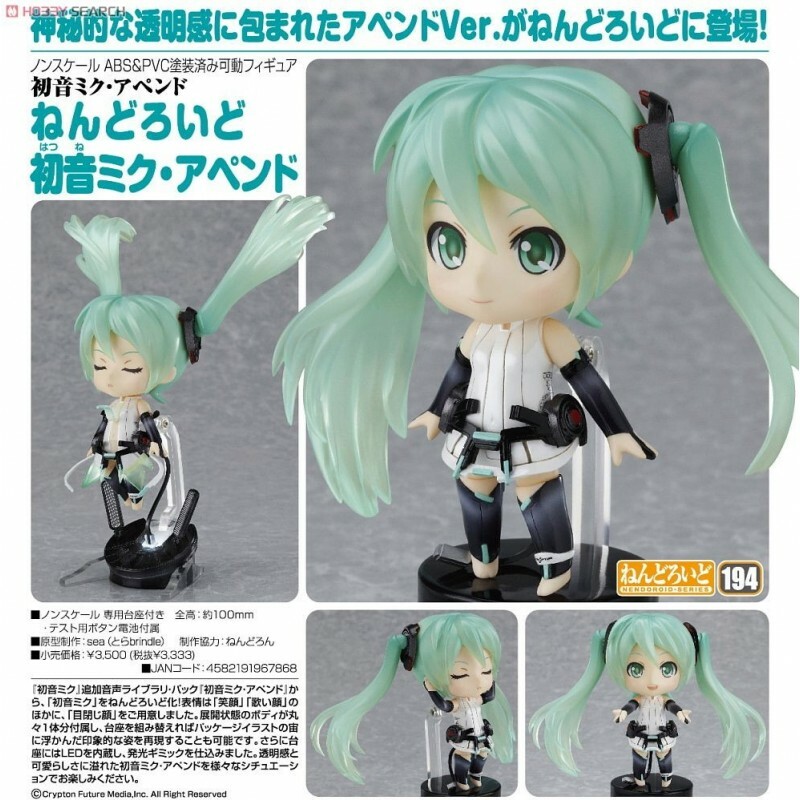 From the additional library pack released for Miku Hatsune, titled Miku Hatsune: Append , comes a brand new Miku Nendoroid! She comes with three expressions--a smiling face, a singing face and a face with closed eyes. She also comes with a completely separate body to recreate her awakened state in Nendoroid form, which can also be posed in mid-air using the included stand allowing you to recreate the famous package art for Miku Hatsune: Append. The stand is also fitted with LED lights allowing you to light up the figure, a perfect complement to the unique translucent feeling surrounding Miku Hatsune: Append!